At first sight Survey Spotter looks like any other survey site – you can sign up, complete online surveys, and get paid. But is Survey Spotter legit or a scam? As you can probably guess from the title of this Survey Spotter review, it is a platform that is NOT as great as it first looks like, and there are several things you are not told before joining. Let me reveal right away that this does not mean it is a scam – but it means that you need to be aware of what you will really get before joining, as it might not be what you expect. What is Survey Spotter and what does the site offer? There is not much information about who is behind Survey Spotter on the website. You can in fact not find any info about the owners, or if there is a company behind. More or less everything you can see on the website is that it offers paid surveys, and you can earn £5-£300 per month by joining and taking surveys. All you have to do is to sign up, start taking surveys, and then get your rewards. All this looks and sounds legit, so even though there is no real info about who is behind, I decided to give it a chance and sign up. It turned out it was not exactly what I expected, and it does in my opinion not give you what it gives you the impression you will get. So let’s look at what you really get, if you sign up. Once you join, you might expect to get access to a members area, where you can start taking surveys, like you would on any regular paid survey site. This is however not the case. After you have filled out your name and email, you are instead taken to a screen, where you have to select the survey companies you want to sign up for. So it turns out you are not actually going to get access to paid surveys on Survey Spotter. You are just going to get a list of survey sites you can join. The list is not even very long or very impressive. It basically just shows the name and very little superficial info about the sites. You can find no real info to help you decide what the best sites are for you, or in-depth info about what the sites offer. In their defense, all the sites I saw in the list are however legit survey sites. I was for example offered to join GlobalTestMarket and Swagbucks, which I know are a good sites worth joining. So at least Survey Spotter only has legit survey sites on the list. The site does however remind me of the site Survey Voices, and in general I really dislike sites, where you have to sign up just to get a list of survey sites. And especially because they at first make it look like you can actually join to take surveys on their site. So be aware that you can not take surveys on Survey Spotter. You will just get a list of survey sites. Once you have selected the ones you want to join, Survey Spotter sends you an email with links to the sites, and then you have to go to the actual sites to sign up and fill out your info there. Survey Spotter does not have a member area, and all you see after having chosen the survey sites on the list is a screen that tells you to check your emails. That is it – you can not do anything else there. So in my opinion a complete waste of time to sign up for Survey Spotter just to get access to a list, where they will then send you links you have to click, only to go to the sites themselves to join to get real chances of earning money on surveys. The above is basically all Survey Spotter offers. After you have gone through the 2 steps described above, you do however have one more option from Survey Spotter. You can start receiving emails with offers. This is luckily not something you will automatically will start receiving, but something you will actively have to choose in the sign-up process. If you choose to receive emails, you will get A LOT of promotional offers. However, as all the other info on Survey Spotter, I find the emails I get superficial and a waste of time. After signing up, I started receiving a promotional email more or less every day, where they promote survey offers they get paid to promote. There is nothing wrong with getting paid for promoting the sites they are promoting, as I have only seen them promote legit sites. But there is in my opinion no value in the emails at all. They are just trying to sell and often make the sites sound a lot better than they really are just to promote them and make a comission. And again there is no real info – just a few sentences of superficial info that does not tell you much about what the sites really offer. And you then again have to go to the sites themselves to sign up. So also the email offers are in my opinion a waste of time. On Survey Spotter there are some big logos that show some of the rewards you can earn. It looks like you can earn rewards directly on Survey Spotter – but you cannot. Both Amazon and PayPal are real ways to get paid for taking surveys, and there are for example many great PayPal survey sites. The thing is that you will not actually earn rewards on Survey Spotter. You will be able to earn this kind of rewards once you join the real survey sites, but Survey Spotter itself does not pay you. One of my big concerns about Survey Spotter is that they display these reward to make it look like you can earn this on their platform. They in general make it look like you can join and take surveys on their platform, which is not the case. I do know they mention in a small section that they have just scouted the market and will give you access to sites, but it is not very clear. I think the use of the rewards logos and the general presentation is not honest and transparent enough, as it seems like you are joining an actual survey site, when you are only joining a site that will get commissions to promote offers to you. 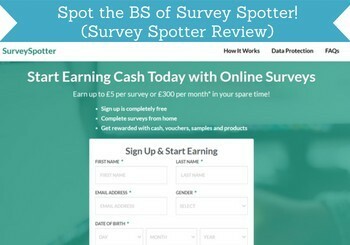 At the top of Survey Spotter’s website, you can see, you can supposedly earn £5-£300 per month by taking surveys. Another statement that makes it look like you can earn directly on Survey Spotter. They do also mention that the earnings can vary depending on how many sites you join and how many surveys you take. I agree that this is realistic earnings on surveys. But again I think the information is used to make it look like you can earn this kind of money on Survey Spotter itself, when in fact it just sends you to other sites. So this kind of earnings are definitely realistic, and in some countries it is also possible to earn more on paid surveys, if you join the best sites. But beware that you will NOT earn anything on Survey Spotter itself. In theory, you can join Survey Spotter no matter where you live. But one of the few things they do mention about themselves on the website is that it is a site that has scouted survey sites in the UK. Many of the sites will also be available in other countries, but as already mentioned there is no need to join and give them your email to just get a list of survey sites no matter where you are from. You can find that publicly available other places. You are for example welcome to check out this list of the best UK survey sites without having to sign up for anything. I do not think Survey Spotter has much to offer. But let’s sum up the pros and cons, so you can get a better overview and decide for yourself, if it is a site you find worth signing up for or not. Overall, I do not see any point in signing up for Survey Spotter. I do not have a problem with them promoting survey sites, as they only promote legit sites. But I think it is dishonest not to be transparent about what they really offer, before you join, and this is the biggest reason I do not recommend Survey Spotter, as I dislike tricks like this. When at the same time the information you can find on the website is so superficial, it is in my opinion a complete waste of time. No matter whether you live in the UK or anywhere else, there is no need to sign up for a site just to get a list of survey opportunities. You can for example instead check out a free list of the best sites in many countries below – and you do not have to sign up for anything to see these lists. If you have any comments, questions, or have any experiences with Survey Spotter yourself, I would love to hear from you in a comment below. Survey Spotter does not really offer anything of value – you just get access to a shirt list of survey sites and superficial info. There is not even a members area. Overall a complete waste of time. Cheers for the heads up buddy. I am a pensioner who is looking for a few more bucks. I can not work so I try to make the best use of my PC. So I do surveys. 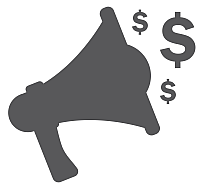 As you can imagine, I have been looking for a list of reliable sites for doing paid surveys and your assessment is very informative and enlightening. Cheers again Mikael, you saved me a lot of time and excessive clicks! I am now going to strain through your list of survey sites, ’25 Legit Survey Panels that Pay through Paypal.’ Bye bye! Thanks for the feedback Jeff. Glad to hear my article helped you and saved you some time. Hope you will enjoy some of the sites on the PayPal survey sites list, Let me know if you have questions about any of the platforms or have any other questions. Thanks for pointing out Survey Spotter as a complete waste of time. The information provided by the site is available with a simple Google search. Why give up your email address for nothing? It is good news that at least Survey Spotter is only listing legit paid survey sites and not scams. This might be worth the time if you don’t know how to spot the scams by yourself. Great review of Survey Spotter. The information is direct without being inflammatory. If I had read this a few years ago, I wouldn’t have had to change my email address. Thanks for the feedback Shaunna. I appreciate it and glad to hear you like the info. Sorry to hear you had to change your email address – hope this info can help others to realize what the SurveySpotter is really offering. I enjoyed reading your review of Survey Spotter, and while it’s not a scam in the classic sense, it’s taking advantage of people’s ignorance and offering information that really could be found within a Google search. This appears to be yet another website, who instead of offering helpful and original content are instead going through the motions looking for a few clicks. They’re basically wasting everybody’s time. Their’s included. Thanks for your comments Howard – I completely agree that Survey Spotter is a waste of time. There are many great paid survey sites, but unfortunately also many that are not at all focusing on quality.